A thread in which to discuss the CTrain system and any related spottings. Also, a few weeks ago when looking at the 201 schedule, I was somewhat surprised to find a Crowfoot to Saddletowne trip that departs Crowfoot at 10:27pm weekdays. Presumably this is 1 of the 4 PM Saddletowne to Crowfoot trains that come out during rush hour - though the other 3 all head back a fair bit earlier (5:45, 6:08, and 7:28). I noticed that trip as well next signup as well. I believe its a little later next signup. Not only did it stand out because of the interline but because it is the only unsigned LRT piece next signup. It does a somerset to somerset trip and then a somerset to oliver bowen. Will try to see if i can find some details. 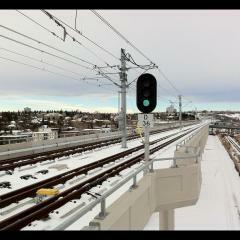 There's a (fairly) new slow order on the inbound track through Sunalta interlocking. I'm a bit surprised to see one so soon on the west leg especially in a location not really affected by frost heaves. A few more photos at the bottom of the article. 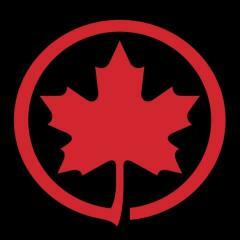 The CTrain has been named (and nominated) as one of the greatest moments in Canadian transportation. I'm hoping they cover Edmonton at least a little bit. 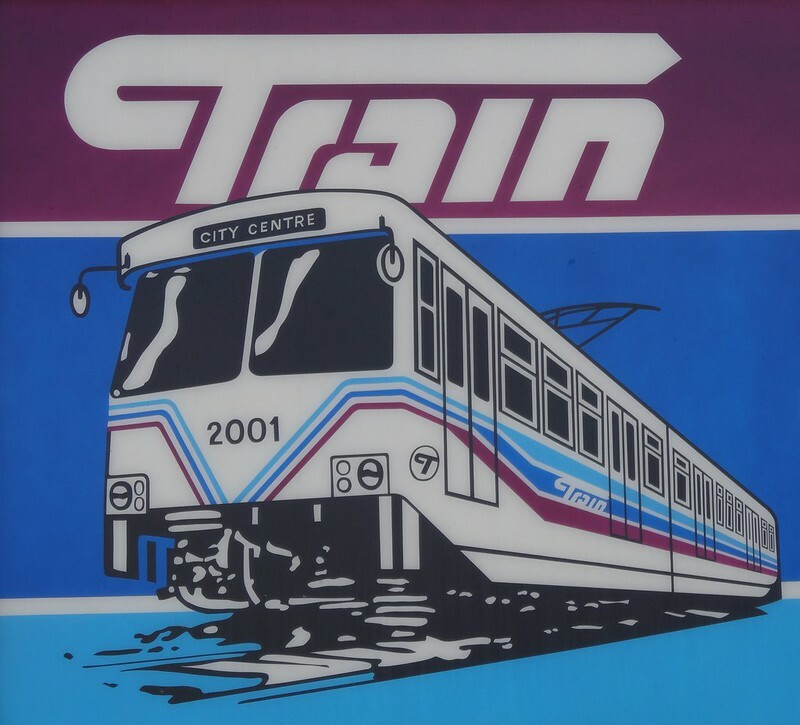 Edmonton started the Light Rail movement, as Calgary only just applied it to their city, learnt from Edmontons mistakes and then succeeded tremendously. Given the similarities between the two cities and the start dates, I would challenge that Edmonton was truly first. Calgary's shops were the ones to finish the Edmonton cars. 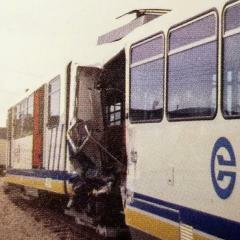 IMNSHO, the two systems are both the start of the Light Rail movement. Edmonton decided to go underground downtown, we decided to stay above. Nothing wrong with either, but as Edmonton found out, underground tunnelling cost a huge amount and thus while we were building full lines on the surface, they managed to build a few blocks further west downtown. I think they also gambled on the NE being the big boom when in fact, more people wanted to live in the south end of the city. Even to this day, some 30-ish years later, Clareview station is pretty much on the edge of the city whereas the system here is rarely close to the city's developed boundaries. Interesting spotting from about 20 minutes ago. A single U2 car inbound stopped about halfway between the start of the Henry Kroeger bridge (btwn Bridgeland and City Hall) and the interlocking signal. It then rolled back a good 4 or 5 metres before stopping again and then continuing towards downtown. Edit: also, 2205 has new red "tape" with the words "EMERGENCY USE ONLY" applied across each door emergency release. I believe ETS's 3rd batch of U2s were assembled in Calgary, and cars 3001 & 3002 (now 2101 & 2102) were assembled in Edmonton. I don't think it's going to last very long -- easy to rip off & the adhesive looks pretty weak. It was already missing from 6/8 of the doors on this car. Looks like it would interfere with operators using the release, too. Being easy to rip off is a good thing (operators need to be able to quickly release the door in an emergency). Still has the side effect of always falling off though. Sure, but they won't last more than a few weeks when anyone can easily rip them off. 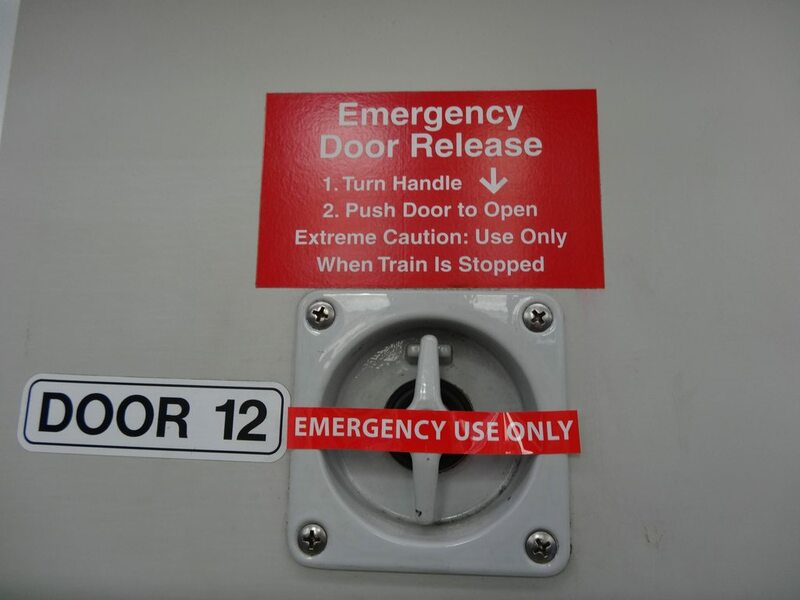 Unfortunately, while its for emergency use FOR PASSENGERS, there's lots of reasons why an operator would turn this handle for somewhat routine reasons. This is when they'll probably get ripped off. This is one of the few crossings in the system that still has the classic warning bell, instead of the new, louder bell that most of the other crossings have. The crossings by Sunnyside and Lion's Park, as well as the small pedestrian crossing by SAIT/ACAD/Jubilee, also have this bell. I'm not sure which crossings in the NE have the bell too. Would anybody know when these crossings will be retrofitted with the new bell like all the other crossings? Seen on the original Park & Ride signs. Is that the tunnel that might be used for the future 8th street subway? Spotted a 3-car U2 consist heading inbound past Bridgeland after the last revenue train of the night tonight. This was at 1:07am. I'm not really sure why, though I did see Enmax bucket trucks parked on 7th by 3rd St E looking ready to set up - possibly a test train once their work is complete? Ctrack at Stampede in service today for I/B traffic. They're doing some platform rehab.